The Ministry of Health and Public Health Officials are urging travelers to Cuba to take measures to prevent cholera following confirmation of a renewed outbreak of the disease in Cuba. As at 23 August 2013,163 cholera cases have been confirmed in the provinces of Havana, Santiago de Cuba, and Camaguey, as well as other municipalities, where cases were found to be associated with these three provinces. The National International Health Regulation (IHR) focal point of Cuba also noted that, following the outbreak recorded in early 2013, cholera cases are analysed regularly. For as long as the cholera outbreak in Cuba continues, Acting Medical Officer of Health, Dr Samuel Williams, has issued an updated travel advisory. This states that while there are no travel restrictions to Cuba, travellers to that country, as well as to Haiti and the Dominican Republic, which are also affected by outbreaks, are advised to be aware of the basic cholera facts and to observe basic cholera prevention recommendations of: frequent hand-washing and using food and water which are known to be safe (see guidelines below). Dr Williams also reminds residents that cholera is not present in the Cayman Islands and there is no threat of its occurrence, as the islands have modern water and sewage treatment systems. “Nevertheless we ask anyone who has travelled to Cuba, Haiti and the Dominican Republic to contact their doctor immediately should they develop watery diarrhoea and vomiting within five days of leaving. It is also important to state their travel history to their doctor,” he advised. To ensure readiness the Public Health Department called a multi-agency preparedness meeting on Thursday, 29 August 2013. 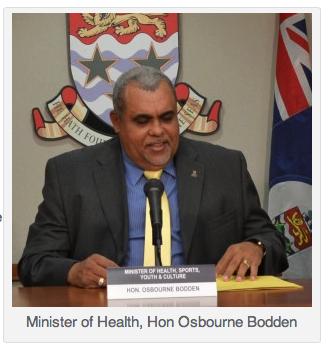 For more information on cholera please call the Public Health Department on 244-2621. • Drink only bottled, boiled or chemically-treated water and/or bottled or canned beverages. • Ensure that seals are unbroken when using bottled drinks. • Disinfect your own water: boil for one minute or filter the water and add two drops of household bleach or half an iodine tablet per litre of water. • Use bottled, boiled or chemically-treated water to wash dishes and brush teeth. • Use ice in your drink only if you know it was made from boiled or treated water. • Clean your hands before you eat or prepare foods, and after using the bathroom. • Eat foods that have been thoroughly cooked and are still hot, or fruit that you have peeled yourself. • Cook all vegetables. Do not eat salads or other raw vegetables. • Do not buy food or beverages from street vendors.